For a rural community to survive there needs to be a willingness to invest in the future; to have a problem-solving approach to issues such as health and wellness; to be financially responsible for fiscal resources; and willingness to seek help from outside the community. 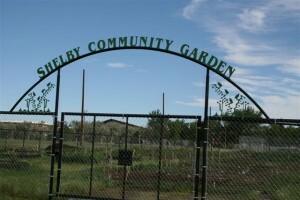 That is the philosophy that drives the community of Shelby in the health and wellness projects and programs initiated. Through diligence and the forward-thinking of city and county leadership, numerous health initiatives have been instituted within the community. 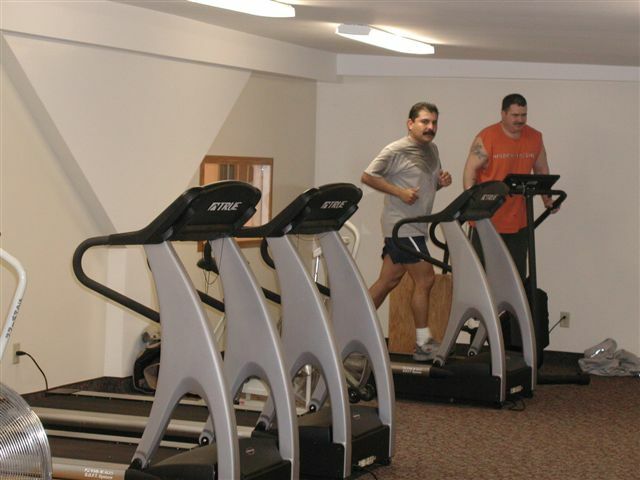 Beginning with conversion of the Shelby Civic Center into a recreation and fitness facility, residents have been given the opportunity to exercise and recreate in an indoor facility including basketball court; racquetball courts; weight room; and fitness rooms. The city also set out to complete an urban trail system. The community now boasts 5.6 miles of paved trail connecting schools, businesses; health facilities; residential neighborhoods; and recreational sites. 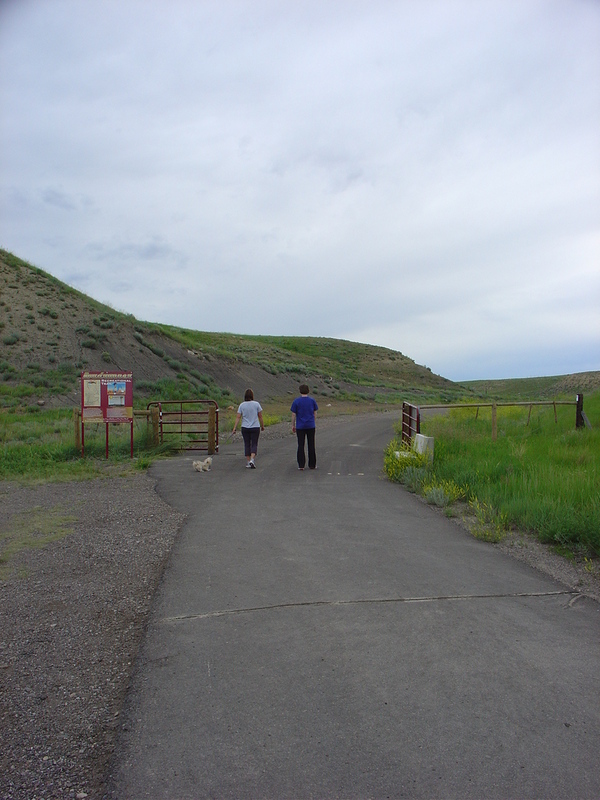 Funding for the trail has come from the commitment of Montana Fish, Wildlife & Parks Urban Trail Grant funding; State of Montana CTEP funds; and the Montana Safe Routes to School program. Improvements to the trail have come from community groups and individuals. Signage, benches, pet stations; and most recently, exercise stations has greatly improved the rural portion of the trail system and encouraged the strong commitment of the community to wellness. 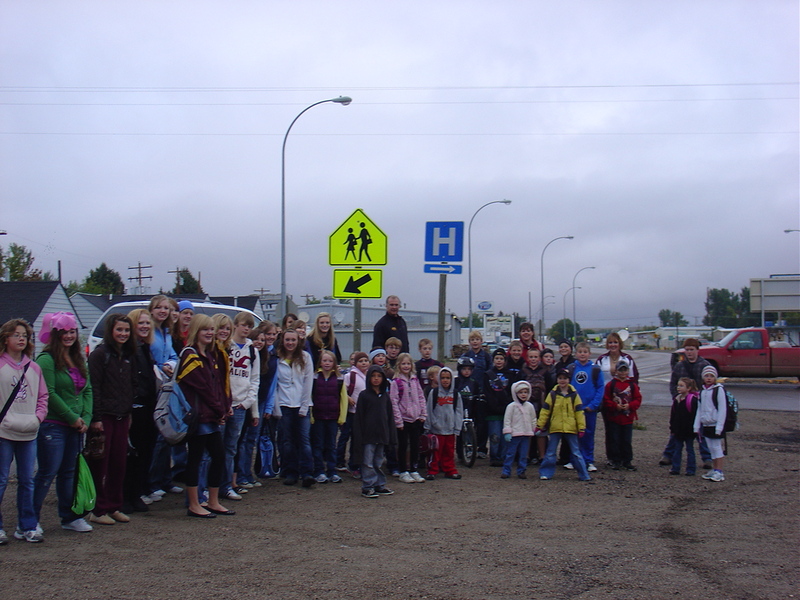 The City of Shelby also collaborated with School District #14; Toole County Sheriff’s Office; and Marias Medical Center to establish a Safe Routes to School Program encouraging our young people to get out and walk and bike to school more often and to do this safely. Through SRTS grant funding, the city was able to improve numerous blocks of sidewalks along the corridors leading to the school complex as well as initiate a strong education and encouragement program. The program has now expanded to include an indoor walking program at Shelby Elementary School and a Kid’s Marathon at the end of the school year. 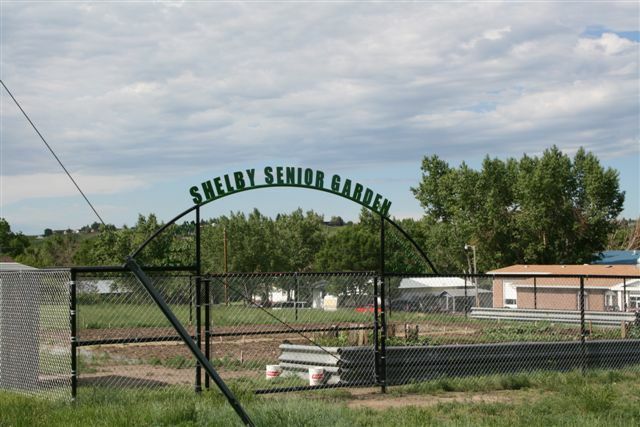 The City of Shelby also initiated a community garden project committing public property and water to creation of a 20 + plot garden adjacent to a city park complex. 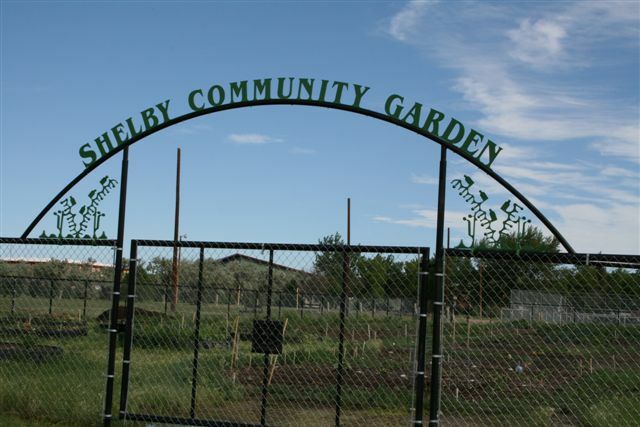 Through Montana State Extension Services – Toole County Extension Office a garden committee was formed; materials and resources committed; and a strong volunteer effort put forth to create this beautiful neighborhood garden. 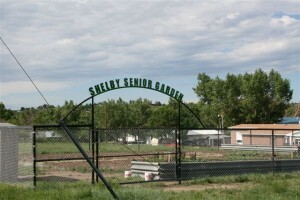 The Shelby Elementary After School Program – RECCS utilizes a portion of the garden as a learning and growing experience for the students and has now built a greenhouse on the site. With the success of this first garden, a second garden has now been built near our Senior Center and elderly living complexes. The City of Shelby has made a commitment to education in publicizing nutrition and physical activity articles in the bi-monthly newsletter. Topics such as holiday fitness & nutrition; reducing screen time; 4 easy ways for summer fun; healthy eating styles; active lifestyle; and so many more interesting and educational topics give each household in Shelby the opportunity to learn and grow in their health and wellness. The city also offers free day passes as part of the Shelby Area Chamber of Commerce coupon book in hopes of encouraging more residents to utilize our exercise and recreation facilities. The city also rewards student efforts in the Safe Routes to School Program and Recycle Shelby with roller skating parties at the Shelby Civic Center and Shelby Swimming Pool passes. The city feels rewarding children with fun physical activity encourages a healthy lifestyle. The City of Shelby and Toole County have made a commitment toward wellness programs for the benefit of employees as well. Promoting physical activity and other healthy behaviors among employees, the city and county believes wellness programs have affected cost savings in reduced absenteeism, increased productivity, increased staff morale and control of rising health insurance costs. The city offers free use of all city recreation facilities including the Shelby Swimming Pool and Shelby Civic Center to all employees and their families. Toole County has initiated several health/exercise challenges among employees offering incentives as well as reduced cost to utilize City of Shelby recreation/health facilities. Both offer wellness screenings for all insured employees and family members as well. Through the Toole County Health Department, the Healthy Toole County Coalition was formed to partner with area agencies; government entities; schools; businesses and individuals to promote; encourage; and affect wellness initiatives within our community. Through organizational members the two community gardens were constructed; a gardening program developed for the after-school program; healthier menus initiated within School District #14; a renewal of the annual health fair; several fun runs and exercise events initiated; education and encouragement literature included in all city newsletters; and now, a follow-up to the 2008 obesity study conducted in Shelby in partnership with the MSU Nutrition and Physical Activity Program (NAPA). All these efforts have been a willingness to invest in Shelby’s future; to be problem-solving; to be financially responsible; and to seek help through grant funding, technical assistance; and resources beyond our means. The statement of Margaret Mead speaks to the efforts of the community of Shelby. Posted in Clinical & Community Preventive Services, Event, Programs, Toole.